Arranging furniture is one of the most important design decisions. Having the right furniture arrangement will make your rooms more enjoyable no matter if your rooms are big or small. Many people buy new furniture or spend lots of money on the most expensive furniture pieces. They do so just to create a room layout that makes their home more inviting, cheerful and user-friendly. But now, you don’t have to do all this. Just follow some simple tips for enhancing your home’s living, working or playing spaces. Today we are about to give you the tips on how to arrange furniture like a pro. This page highlights the must-know tips for arranging the spaces, whether you are relaxing, watching TV or chatting with friends. So, people just take notes of what we are about to tell you because this article will actually be very helpful for you in the long run. The first tip in arranging the furniture like a pro is to take careful measurements. At the first step, just measure your room and your pieces of furniture before start moving anything. Always keep in mind that it is easier to arrange the furniture on paper than to pick up and move real items. So, apply the basic measurements depending upon what room you are going to redesign. If you want to walk around the furniture, try to leave approximately 30 inches of space between pieces of furniture. Moreover, for the purpose of easy conversations, facing chairs and sofas should not be more than 8 feet apart. Take careful measurements of your dining room table and think about how many chairs you want to place around it. To arrange your furniture like a pro, try to keep a dining room table at least 36 inches from each wall. By doing this, the guests can comfortably push their chairs out or move them back to get seated. Choosing a focal point is vital for arranging furniture like a pro. At times, the focal point of the room appears naturally, for example, having a prominent window or a built-in fireplace mantel. But sometimes you have to create them yourself with a mirrored chest of drawers or the media units as well as televisions. Just choose a focal point, make a decision to arrange the furniture around it and stick with it. Using the right-size rugs can help you define a space, for example, a central seating setup. While arranging the furniture like a pro, you can expose some flooring around the edges of the room. But you can also use the right-size area rug. 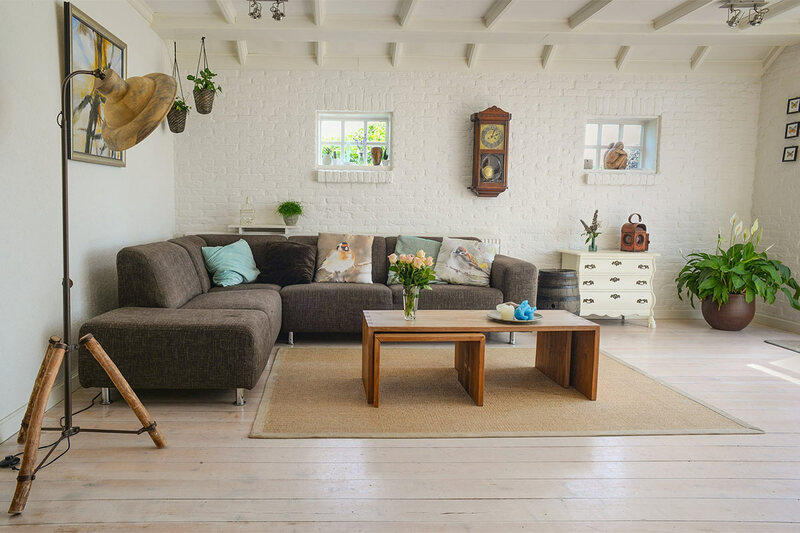 When you use the rug, make sure that it is big enough so that all the furniture in a seating arrangement can rest on it. Moreover, you can also put the front legs of large pieces of furniture to sit on the rug and the backs on the floor if necessary. For arranging the furniture in the best possible way, create and improve the theater experience of your TV room by thinking about where people will be sitting when they watch the screen and what time of day they will be watching. Never place the video screens facing the windows. Always try to test the lamp and TV screen placement before moving the heavy equipment. If you really want to improve the theatre experience in the TV room, do not place the audio speakers near walls because they can absorb sound and create vibrations. The last tip for arranging the furniture like a pro is to create a balance by dividing the room into sections and then evenly distributing furniture throughout. All the tips mentioned here will really help you to arrange your furniture like a pro.